…and not in the way you think! 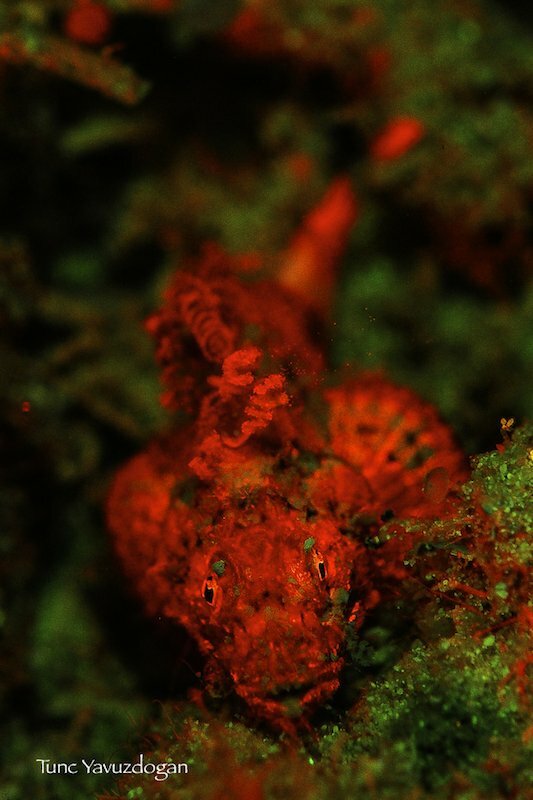 Imagine a night dive or snorkel where you descend into a watery world which you think you know… only to have it come to life in a dazzling color and light show, completely different to anything you have ever seen. 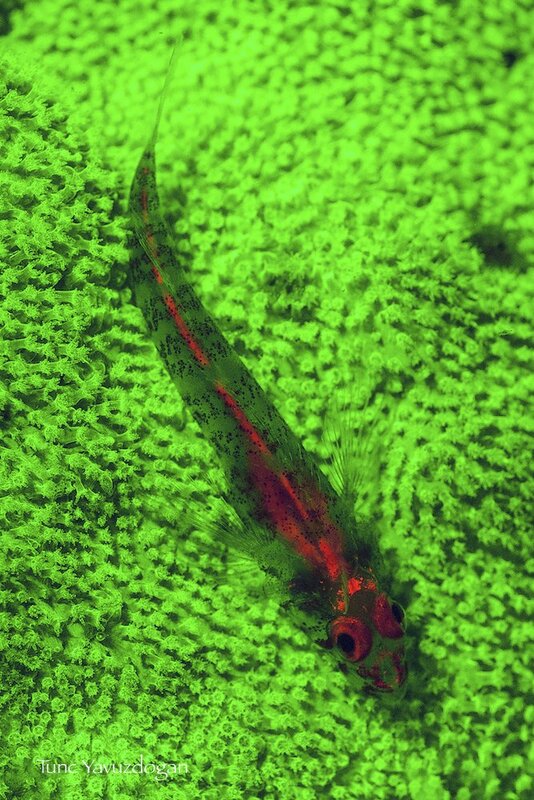 This fluro diving. 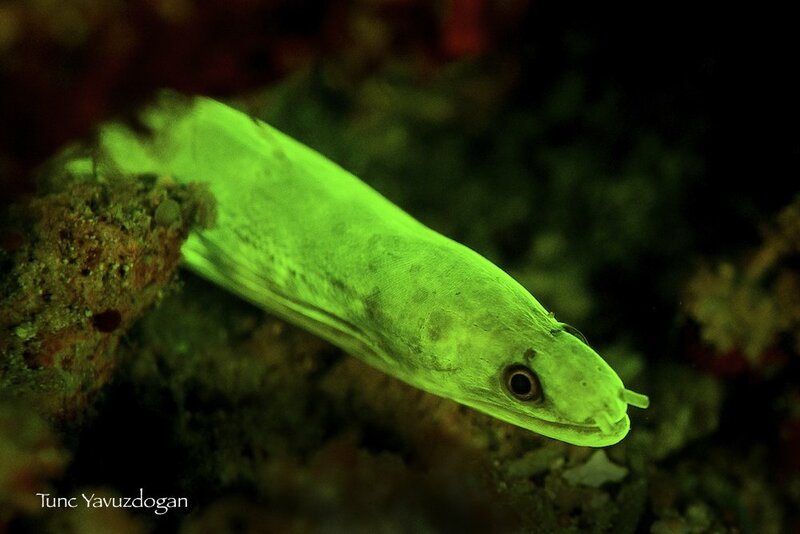 The ordinary human eye misses so many things, and for divers and snorkelers, this (sadly) includes marine bioluminescence. Each and every night there is a myriad of sea creatures producing a spectacular bioluminescent show, most of it invisible to the naked eye. Why so much marine life produces this we don’t actually know, perhaps it is a by-product, perhaps a warning or communication system, but regardless of the reason, this stunning fluorescent light display is something that very few divers and snorkelers have the opportunity to experience. Think of highly fluorescent corals swaying in the night tide, ‘the blue’ no longer being just blue, but bursting with fluorescent pinks, oranges, greens and yellows, all patterned against an extravagant array of marine life. 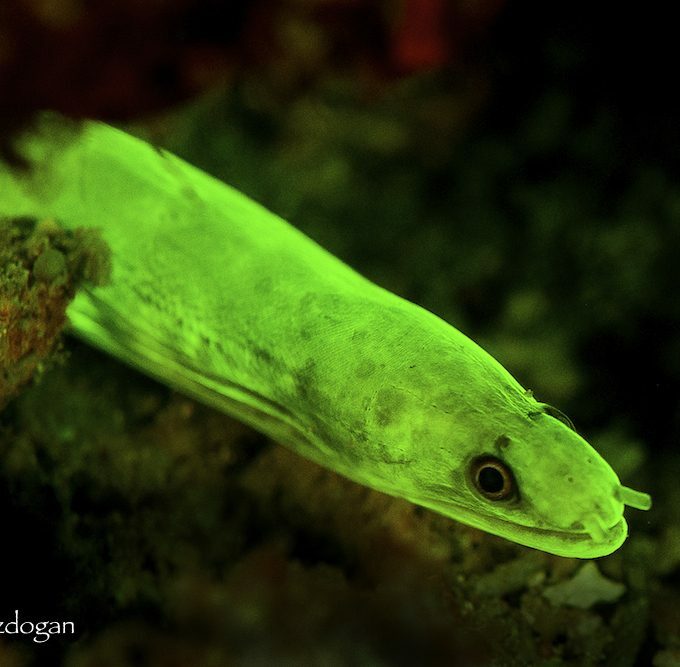 And imagine the marine life that otherwise seems quite dull, revealing to you their true luminescent selves… you will never look at a goby the same way again! 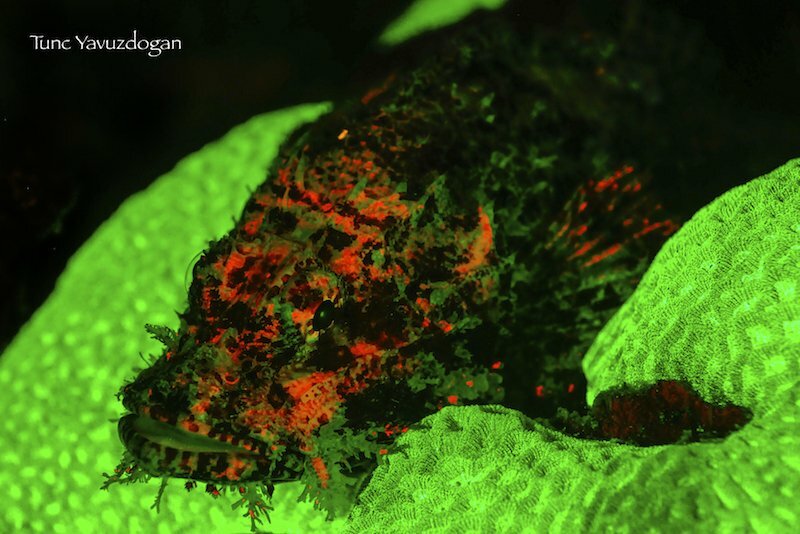 To see this spectacular show you must Fluro Dive or Snorkel. 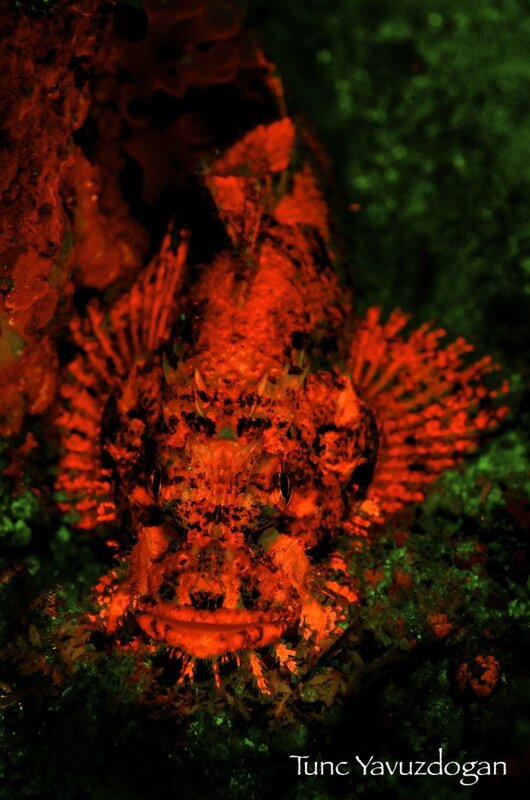 By attaching a special filter to a standard scuba mask, and using a specially designed torch, the reef explodes to life in a way that cannot be imagined, or even seen via any another method. 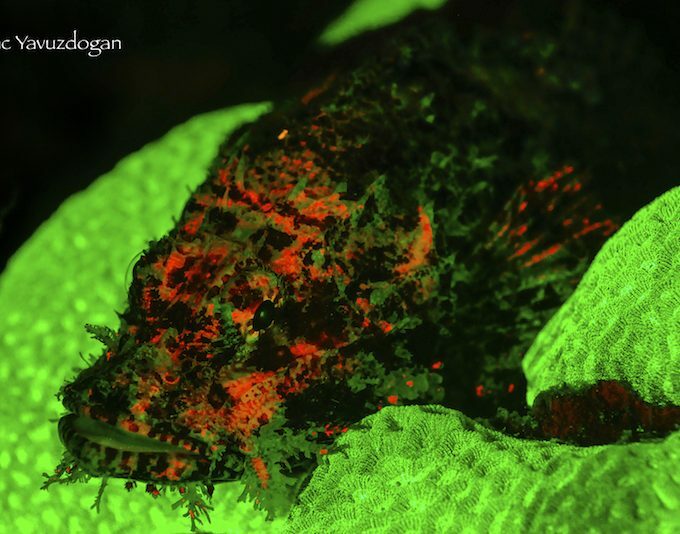 Crustaceans, mollusks, coral and fish illuminate your dive from every angle, and you will be truly enchanted by this stunning, yet normally hidden, marine display. Fluro diving or snorkeling is a truly unique and magical experience, creating amazing and spectacular underwater landscapes and it is a ‘must do’ on every diver’s bucket list! 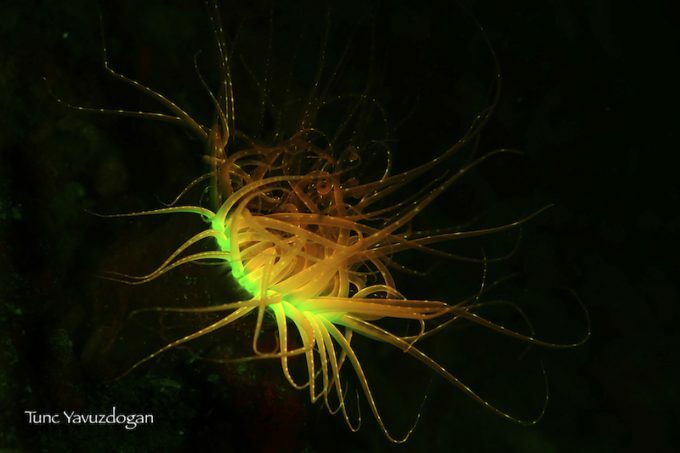 Join us at Papua Explorers for a journey into the world of bioluminescence. Fluro diving and snorkeling is available every night (except Saturdays) and will enable you to view Raja Ampat’s already spectacular underwater display in a whole new light.